What do single moms and wicked biker modders have in common? They both got to check out my arts and crafts this month! I found these great opportunities on Craiglist and they were both within a week of each other. 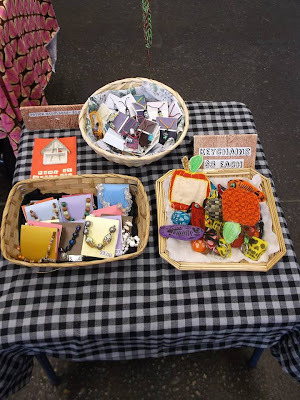 The insane thing about it is that while they were both small venues open for crafters to set up for free, the demographics that their event brought couldn't have been any more of complete opposites. It was such a great chance to test out my products with different types of crowds and do some really diverse networking. It was also quite the adventure- I didn't know what to expect, so I just had to jump right in! 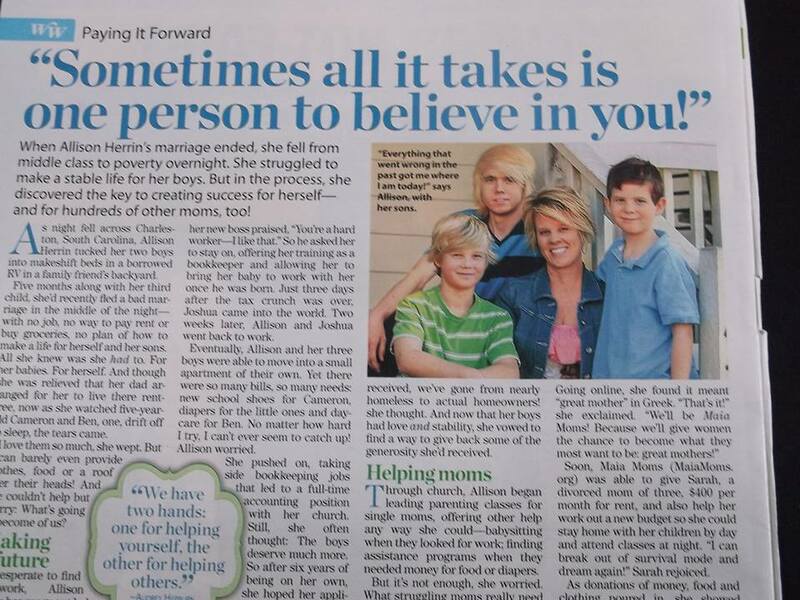 That's right... Maia Mom's founder Allison Herrin has a spread in Woman's World magazine! The Ladies of Maia were very charming and polite. They are a non profit organization that is dedicated to helping single moms get back on their feet. 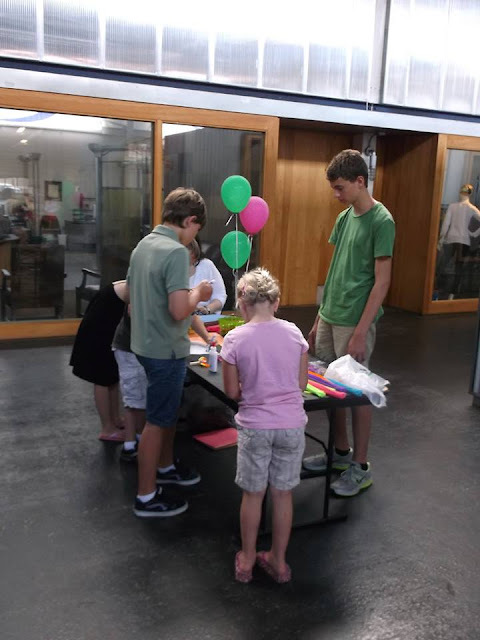 This event was aimed towards fund raising for their cause and to celebrate, of course, Mother's Day. Fun Fact: "Maia" in greek means "Great Mother." That's how they got their organization's name! These chicks really seem to be going places. Maia Mom's founder was even a feature Women's World magazine. We even got featured on the local news! I can't find the original broadcast but they wrote an article about it here. The Maia Moms office (which is covered completely in PINK!) is located in a historical section of Charleston that the city has been renovating for years now. The building has been around since the 40's, going through many transformations until the final form it is in today. I was very impressed with how it turned out, though! 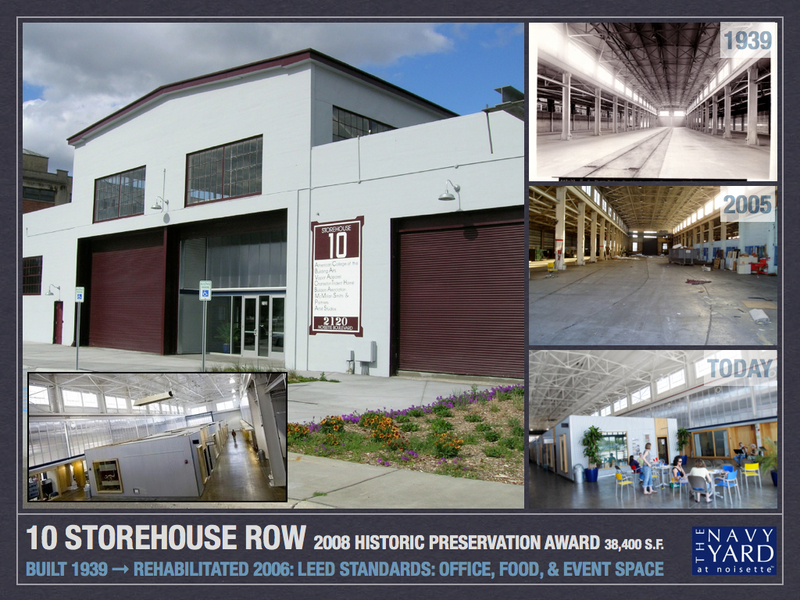 It makes me happy to know that a warehouse once used to hold supplies for war is now a host to a variety of artisans, businesses, and charities. Some harmony in this world has been restored. 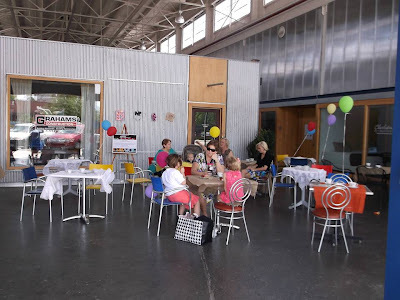 This event included a number of attractions including a Tea Party area, "Play Dress Up" Photo booth by Shanacott Photography, and a table where kids could make Mother's Day cards. There was also a few other vendors and booths set up, too. Here's some kids diligently working on their Mother's Day cards. I thought this was a sweet idea for the moms. 11 Countries in 11 months.. are you out of your mind?!?! 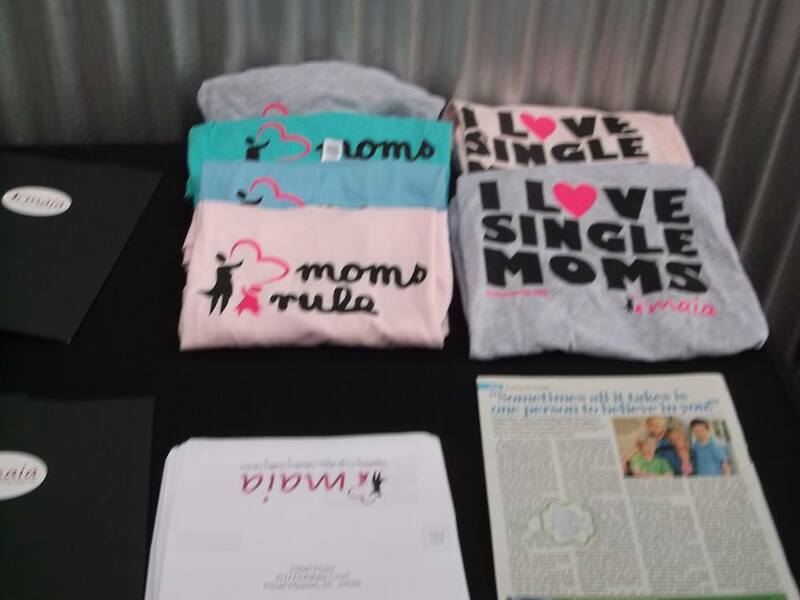 One of the vendors that attended the Mother's Day bash was a young woman named Anna Javaux. She was raising her own funds so that she can afford to take an 11 month missionary trip around the world. I think her goal is incredibly brave and ambitious, and I respect a great cause like that. 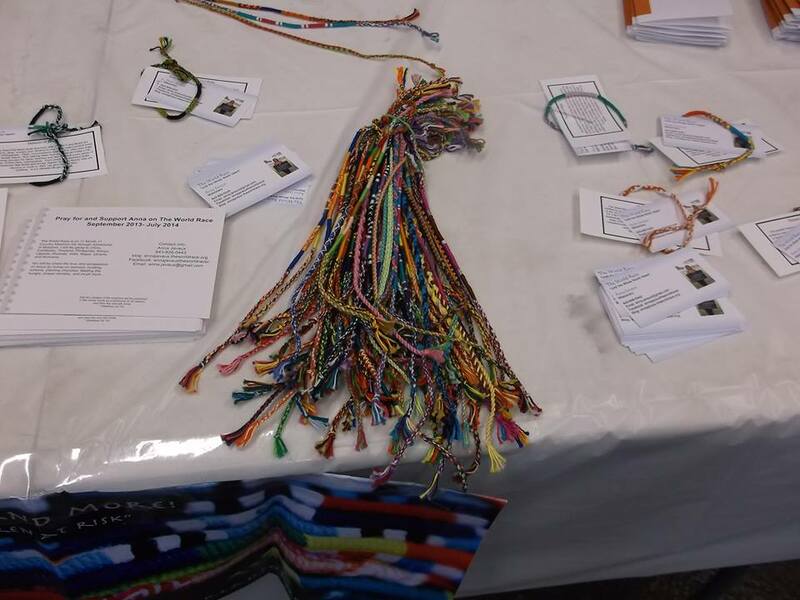 I think the crowd agreed, because these bracelets she was selling were flying off the shelves! 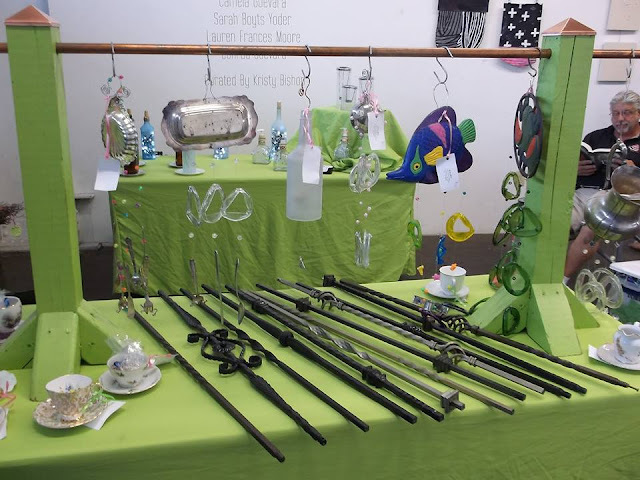 Green Glass Recycled Art by Debbie and Dana Page... man, their set up is the bee's knees! Also, they win the award for most adorable artsy married couple.. teehee. Gotta love this lime green display set that Green Glass had at the venue! It was very stylish and eye catching. Their products were great- Debbie and Dana's expertise are in manipulating recycled materials like old bottles and metals. Their facebook revealed a huge variety of work, but my favorite thing they had at Maia Mom's were all these super cute glass bottle wind chimes. Different styles included bottles with the bottoms cut out as well as slumped bottles and glass rings. BEHOLD.. MY PILLOWS! Me posing with my creations. Dad was chilling, too. My lovely parents came and visited me at the bash... It was a nice way to spend Mother's Day with my mom and dad. We all got to goto the tea party! Some new jewelry and my "oldie but goodie" felt keychains. 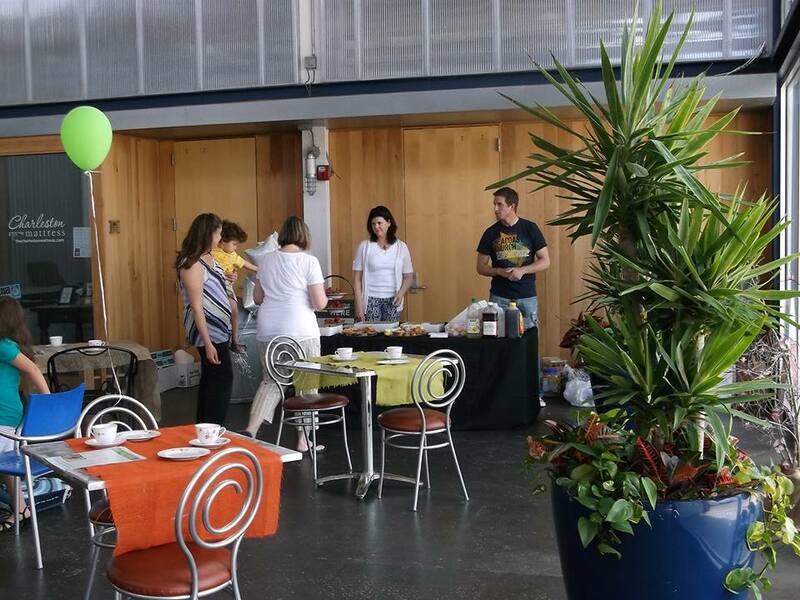 I was lucky because the Maia Moms had some extra tables for me to use. It gave me a lot more space to spread out my work! 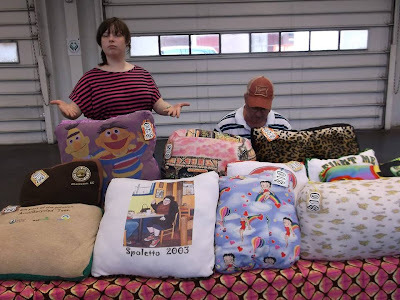 I brought along with me a bunch of different recycled t-shirt pillows as well as the rest of my keychains. I also have a few new jewelry projects (pictured right) that I haven't documented on this blog yet! Stay tuned, though. During this event I finally sold the last of my Mustache keychains. A little boy purchased the last one and promptly began walking around holding it up to his face like it was his real mustache. He then went to the bathroom, still decked out in his disguise, so that he could check out how his new 'Stache looked in the mirror... LOL. Seeing people enjoy my artwork brings me so much joy. Hmm, I don't see any Tea Parties going on at the Vanguard Cycle compound for some reason! Anyways, Vanguard Cycle, from what I can gather, does customizations for motorcycles. If I'm wrong you'll have to forgive me, I am not very well versed in the cycling world! That's why this free venue was the perfect opportunity for me to test out my products on a completely unknown demographic. Plus, we were all celebrating the opening of Vanguard Cycle's new compound, which apparently required much blood, sweat and tears to obtain. Congratulations on your success, guys. They had a huge area to work with that was right on the Lowcountry's coast- it was quite a beautiful view. They had live concerts in the evening but during the day they had a bunch of really cool artists and craftsmen showing off their work! This guy made his own candles. I loved the variety of different shapes the candles came in- everything from Easter Island heads to piles of skulls. He also hand carved some of his candle molds, including the gargoyles displayed in this picture. What an interesting craft to get into! The guys of Bad Monkey Motorworks were super friendly, despite their somewhat frightening but hilarious"mascot" which was an evil Tellitubbie... with a switch blade. Bad Monkey guy. No Kidding! Free stickers! I love free stickers! This is going right in the collection... Thanks, Bad Monkey! An awesomely bizarre piece by Ashley Burton. Ashley Burton's art- it actually had real pills glued onto the surface. A lot of daring contemporary artists showed up at the event, including mixed media artist Ashley Burton. She's very talented when it comes to making surrealistic works of art! I especially liked this painting that incorporated pills on the canvas. That must've taken forever to complete! Close Up on another Ashley Burton piece with crazy eye ball flowers. Ashley Burton and her partner in crime. Keep on creating, Ash! Some hipsters hanging out and selling art. You can tell they're hipsters because of that Pabst Blue Ribbon box hiding under the table.... you're not fooling me with your elaborate disguises! In addition, artist Ashley Hardwood was there selling these intriguing sea urchin ornaments. How incredibly delicate and beautiful these little things are! Seth Van Guard and his team catered the event. They provided some really tasty BBQ platters and good ol' fashioned hamburgers and hotdogs. These guys were working really hard, and their tasty food was proof! Finally, a picture of me and my set up! This time I didn't have any extra large tables, so my set up was a lot more smaller and compact. I only took out a select amount of pillows instead of the whole brood. My friends Racheal and Patrick (pictured left) helped me set up my tables! Racheal is also a very talented artist. She did this drawing of a skeleton on canvas.. isn't it just wild? It got a lot of attention at the show. She also had some crafty ornaments made from recycled beer coasters! I'm glad that my friends came with me, they brought a lot of variety to the table. What I discovered at these two venues, that while the venues were both radically different, the people that attended were equally as nice. All in all, it was a great learning experience that required relatively low risk to undertake. Maia Moms simply asked for a donation to their charity, which wasn't hard to do because the cause is good, and the Vanguard Compound asked for no commission whatsoever! Go out there and show the world your art! It is such a rewarding experience.